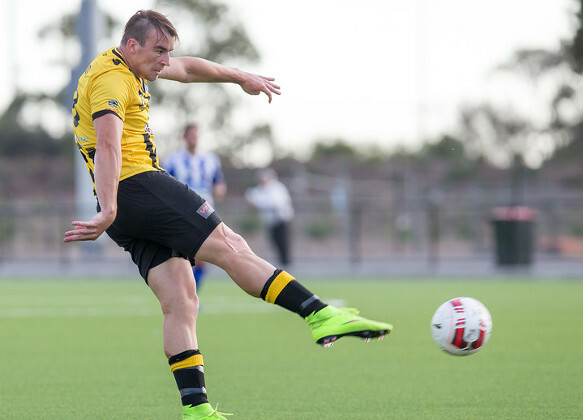 Birks opened their 2015 season with a thumping 4-1 win over South Adelaide at Jack Smith Park Sunday night with Jordan Watson netting a hatrick in his debut for the club. After a tense opening thirty minutes Birkalla finally got on top through the midfield with Andrew Ciarla in control , another of the new signings who looks to be very much at home in the black and gold. Scott Nagel was causing havoc with searching runs from left back whilst Ryan Kitto was using his pace through the middle. Paul Radice looked dangerous throughout and J-P Cirillo, one of the most improved players in the NPL tackled magnificently all night and easily won his position at right back. Tom Dittmar did a good job marshalling from defence also. Sam Shoemark played serviceably and will be better for the run at senior level. Daniel Waine scored the fourth and was ecstatic as he rarely gets to cross the half way line! A good crowd and a terrific start to 2015 for Birks. Next week will be a real test against West Adelaide away from home. 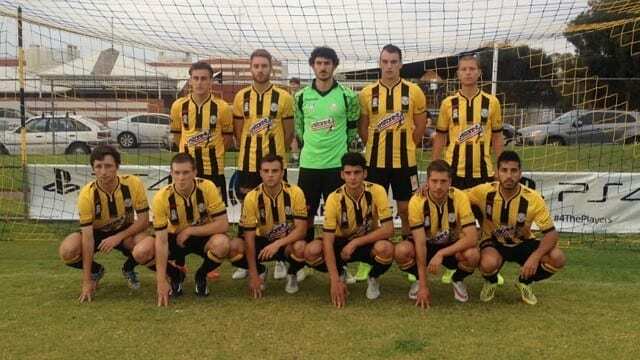 The Reserves ended 2 – 2 with South Adelaide Panthers, letting a 2 goal lead slip. The first half ended with both teams creating a few scoring opportunities but some good goalkeeping from the Panthers keeper and some fortuitous defending from Birks saw the half out with a 1 – 0 lead to Birkalla thanks to a goal by Maysom Hussain. The second half was much the same start, some scoring opportunities wasted by both teams before Will Plush lofted a pass over to Thomas Berg who scored another well worked goal for the Birks. Unfortunately in the last 15 mins we allowed the Panthers to score two quick goals which allowed both teams to walk away with 1 point each. Overall it was a scrappy game with the Panthers using an aggressive approach against a very young Birkalla team. An early start at 9.30 Sunday for the under 18s to avoid the heat but they were very much awake and up and about blitzing South Adelaide. John Kangana helped Birks to a 3- nil lead by half time and at the final whistle he had bagged four goals , a wonderful start to his under 18 career. Jack Panuccio scored the fifth and with Patrick Pietrosanti saving a penalty the 18s snared the three points to start the season perfectly.